Hailed aS the hardest ab movement you can do. No wonder Bruce Lee loved it. 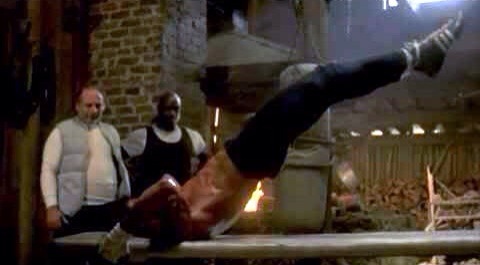 For amazing core strength and the ability to upside-down-kick someone in the face, enter the Dragon Flags. Lay flat on your back in a spot where you can reach back to grab something that anchors you. Keeping your torso rigid, raise your legs and hips up until you’re on your shoulder blades, feet pointing straight up.